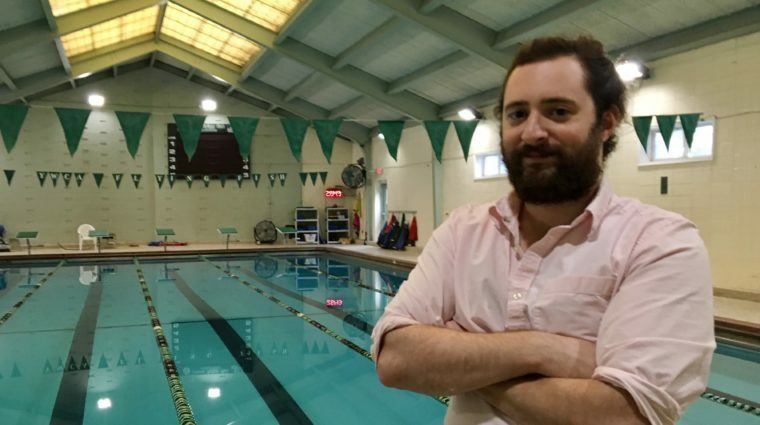 Peter Raffel, who grew up swimming in YWCA Evanston/North Shore’s pools, has been named aquatics manager in the organization’s Flying Fish Aquatics program. In this newly created position, he will be responsible for all Flying Fish Swim School operations, including its award-winning learn-to-swim program. Raffel said he’s excited to foster the same love of the water for the next generation. Raffel also is excited to further the Flying Fish Swim School’s mission to reach out to as many children as possible, giving them access to swimming lessons, which is an important public health and safety issue, particularly in communities near Lake Michigan. “I’m looking forward to expanding and deepening our partnerships throughout the community,” he said. He cited Evanston Swims!, which is a community-wide partnership that focuses on teaching all second graders in Evanston/Skokie School District 65 to swim. He also noted partnerships with Erie Family Health Center, and the “Books and Breakfast” programs at Dewey, Kingsley, and Lincolnwood schools. Raffel, who grew up in Evanston, is a 2015 graduate of Lawrence University in Appleton, Wisconsin. The Flying Fish Aquatics program at YWCA Evanston/North Shore is committed to teaching all children to swim through the Flying Fish Swim School and offering them opportunities to grow in the sport through the Flying Fish Swim Team. With more than 400 swimmers on the Flying Fish Swim Team and 1,200 annually in the Flying Fish Swim School, YWCA’s program is one of the largest in Illinois. Learn more at www.ywca-ens.org/flying-fish-aquatics.